Seminole County Supervisor of Elections Mike Ertel was announced as Secretary of State by Governor-elect Ron DeSantis midday on Friday. As someone who has known Ertel for a half decade, Floridians could not have hoped for a better selection for this top post that oversees the election process. Following the disastrous “performances” by Broward County Supervisor of Elections Brenda Snipes and Palm Beach County Supervisor of Elections Susan Bucher, many in Florida were left wondering what protections would be put in place to make sure corruption and incompetence would not embarrass Florida in the 2020 presidential elections. Frankly, they should rest easy with Ertel at the helm. Elected four times back-to-back by residents in Seminole County, he has always operated with the utmost honor and integrity. He does not endorse in political contests or get involved in partisan matters, he just counts the votes and focuses on making sure the process is as simple and secure as possible for voters. Ertel has won numerous international awards for voters trust and engagement during his tenure. Simply put, he does not put up with nonsense and will not abide by the incompetence and corruption showcased by people like Brenda Snipes. For once, Florida might actually be able to hold an election worth being proud of. If he won’t tolerate corruption or incompetence in his own house, he won’t let bad actors like Snipes and Bucher ruin his reputation with their petty political posturing or election rigging. 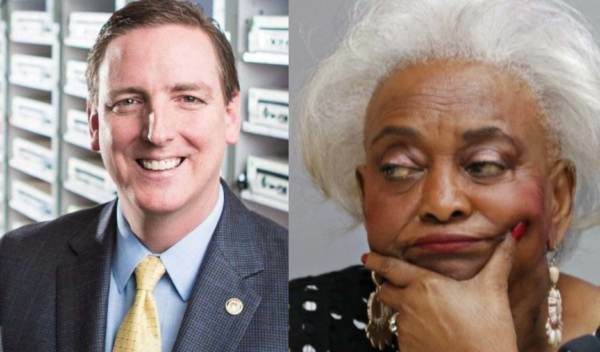 A review of the elections problems in Broward and Palm Beach under Ertel in 2019 will likely not render favorable results for either Snipes or Bucher, who violated state election law left and right in what some experts viewed as blatant attempts to steal the election for Andrew Gillum and top Democrats. Before serving as the Seminole County Supervisor of Elections, Ertel was an award winning journalist and radio personality. He served in the United States Army, earning the Meritorious Service Medal, Expert Marksmanship Badge, National Defense Service Medal, among other honors during his time in Panama, the Balkans, Berlin, and the United States. Governor-elect DeSantis called Ertel “vastly qualified” to make sure Florida’s elections are “fair and accurate” going forward.